The beachside setting combined with an internationally experienced weddings team continue to make InterContinental Fiji Golf Resort and Spa a firm favorite with the local market. The resort has noticed a trend with more local couples and their families booking the resort and its facilities to host wedding ceremonies and receptions. The InterContinental World of Weddings is a suite of wedding packages that the resort offers guests to choose from when considering Natadola Bay as the host venue for their celebration of love. The resort offers five different packages for couples to choose from. The packages range from F$15,000.00 to F$49,000.00 and are inclusive of a collection of experiences from accommodation for the couple and up to 50 guests, the use of the chapel, wedding feast and so much more. “We love looking after our local couples and giving them an experience of a lifetime. It is a great pleasure for my team and I to look after a local wedding and to be able to deliver on the bride and groom’s dreams. 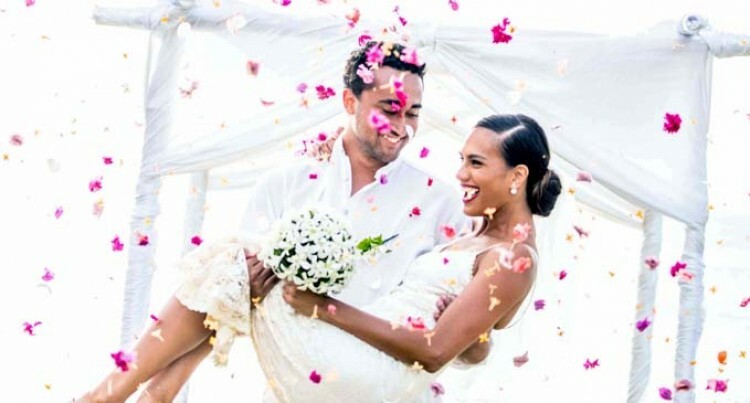 There are couples in Fiji that want an international style setting and service delivery for their special day. My team and I are able to deliver that and much more,” she said. The most popular wedding package from our local market is the Yalayala Wedding package and is priced at around F$29,000.00. This package allows for a wedding reception for up to 50 people, use of chapel for the wedding ceremony, one hour premium beverage package for cocktails and canapés as well as a buffet dinner for 50 guests among other services.